We’ve all tucked into a takeaway on a Friday night, and found ourselves with some leftovers. Now, if you’re anything like us, you’re going to box up or refrigerate these leftovers so you can enjoy them the next day. Who among us hasn’t, on occasion, tucked into a delicious slice of cold takeaway pizza for breakfast the next day?! This tastes incredible, but we have always been told that it’s pretty bad for us. Except, maybe it’s not as bad as we first thought it was. 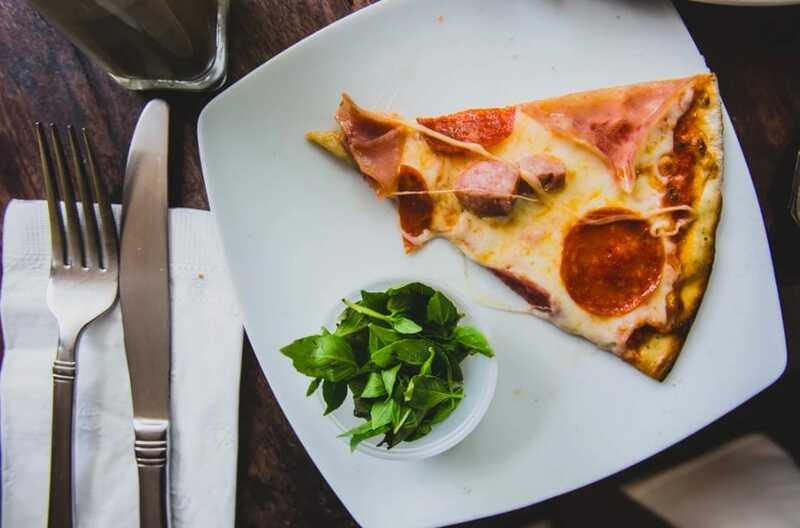 Yes, pizza is hardly seen as being the most healthy and nutritious food out there, but cold pizza is not actually the worst choice of breakfast food, according to nutritionists. In fact, surprisingly, it might actually be better for you than one of the most popular breakfast options! Cereal has become a staple for breakfast enthusiasts all across the world. This is due in large part to its fiber content, and the fact that it is supposed to be good for you. But, maybe it’s not actually as good for us as we think it is. See, studies have shown that cold pizza for breakfast is actually better for you than many of the cereals out there! It provides more protein and less sugar than a bowl of cereal, and you don’t get the sugar crash after having pizza as well. The secret actually lies in the tomato sauce and toppings the pizza has. You might not realize it, but cereal is actually worse for you than you might imagine. There are so many additives that can be found in the vast majority of cereals, and they contain a huge amount of sugar and refined carbs. This isn’t all cereals of course, and the plain ones are definitely going to be better for you. But, it’s clear that many of the cereals we can buy in stores are not actually as good for you as you think they are. You’ve got to make sure your pizza is stored correctly overnight though, and this is something a lot of people overlook. Make sure you keep it in the fridge overnight so that you protect it because leaving leftover food out on the side can actually be a health risk. Meat and cheese left at room temperature for over two hours can increase the risk of illness. As long as you have it stored in the fridge, it should be fine for consumption the next day. But, don’t think that pizza is the healthiest breakfast option on the market – it’s simply healthier than sugary cereal options! Given a choice, your ideal breakfast should contain protein, fiber, and good carbohydrates. In fact, the ideal choice would be something like eggs on toast, smoothies, or yogurts and fruit. These are just a few of the great things that help make up a tasty, balanced, and nutritious breakfast. So, there you have it, eating pizza for breakfast is actually a better choice than cereal. So, the next time your friend gets on their high horse that you should lay off that slice and grab a bowl of frosted flakes, you have your trump card to hand.